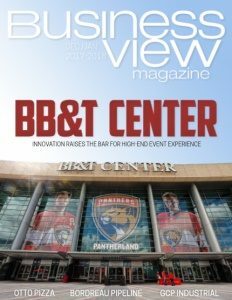 Business View Magazine interviews Chad Peter, VP of JP Services, as part of our focus on the oil and gas industry. 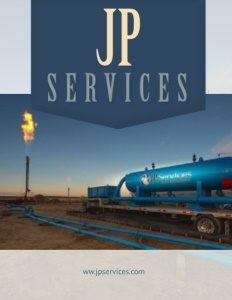 JP Services, headquartered in The Woodlands, Texas, provides hydrostatic and pneumatic testing, torqueing, pigging, and chemical cleaning services to its energy and industrial clients with a primary focus on three industrial segments – both new and existing pipelines, tanks, and facilities. “When he began to do further research on the niche service and the market, he saw that there was a need and it needed to be met immediately,” Peter continues. “Justin found a couple of individuals who had 20-plus years of experience in the service line that we offered at the time, and hired them to be a part of his grand idea. He took out a small loan, bought a truck, and built out what we call a test trailer, or a mobile testing unit, and formed his company. His main marketing tactic was to drive through the Eagle Ford Shale (the Eagle Ford Group is a sedimentary rock formation deposited during the Cenomanian and Turonian ages of the Late Cretaceous Period over much of the modern-day state of Texas), until people asked him to hydrotest some their pipelines and fittings. “In 2012, we kept the same model; we were primarily concentrated in the Eagle Ford. At that time, they were aggressively building out the infrastructure there, which meant there was more work than we could even remotely dream of handling. Thus, we continued to build out the customer base, strictly by word of mouth, and continued to grow. In 2013, when I joined the team, we started looking at various strategic expansion opportunities. Shortly thereafter, we came across the chance to start offering the same services we provide in south Texas to the greater Houston area. So, we started a Houston-based division. During 2012 through 2014, we experienced exponential growth when we merged with an equity group. At the same time, when oil and gas commodity prices started to fall, we repositioned and restructured from a customer base of general contractors and pipeline builders to focus on the actual asset owners and operators, themselves. “Pipelines are required to be recertified for certain periods – some lines every five years, some, every seven. That sector of the market is known as the ‘integrity division’ within these operators. So, we started honing in on working with the integrity divisions of the larger asset owners to attain consistent work; not relying so much on new construction, but relying on the regulations that the government has placed on companies to keep their pipelines in compliance. 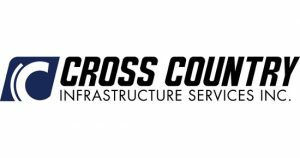 “We diversified our service offerings at the end of 2015. 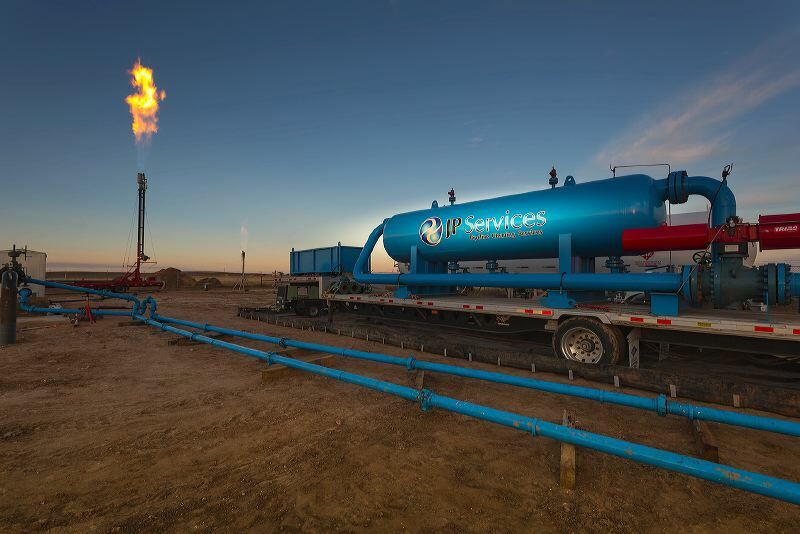 We added a pipeline cleaning division and shifted our main focus to quality and customer satisfaction. We encourage all of our employees from the top down to really take a customer-facing approach; we will do whatever we can to ensure our customers are satisfied and that we are exceeding expectations. We attribute the success and growth that we’ve had by taking that approach and being strategic in the customer base that we’re trying to work with, even in a down market. From 2015 through 2016, we tripled in revenue and we are forecasting another 20 percent growth from 2016 to the end of this year. “So, our approach has been to do whatever we can to get market share, even in a down market, and understand that this great learning curve can really can set us up to launch, again, as the market rebounds. In studying the industry, and knowing the cyclicality of oil and gas, in general, we understand that it is going to rebound. Now, is it ever going to get back to 100-plus dollars a barrel? No telling. But, we don’t need it to get there to see an uplift in the services and other aspects required from us, as a service provider. “We are constantly looking for opportunistic growth, but, more importantly, focusing on a strategic plan that includes geographic expansion – positioning ourselves in different areas where we see the midstream sector, or the energy industry, in general, having a need. We currently mostly work across the southern U.S., with two office locations in Texas, and this year alone, we’ve completed projects in Mississippi, Alabama, Georgia, Louisiana, Michigan, Illinois, Kentucky, Missouri, and Kansas. Our footprint is fairly wide, but having strategic locations to be able to provide a more regular service to customers in those areas is something that we’re looking to do. Check out this handpicked feature on Deepwater Chemicals, Inc.
Otto Pizza – What a slice!